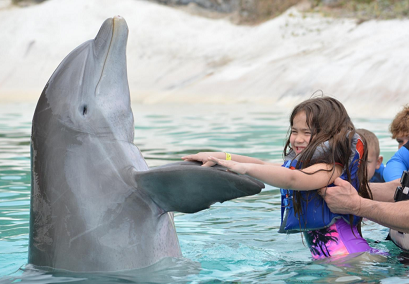 You can come face-to-face with an Atlantic Bottlenose dolphin. 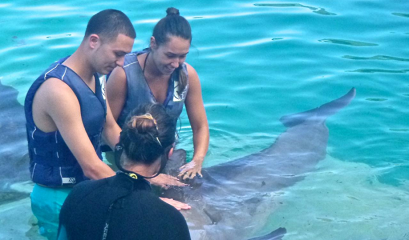 You will learn about these underwater mammals in an interactive class that teaches you the basics about dolphins and what is going to happen during your dolphin program. 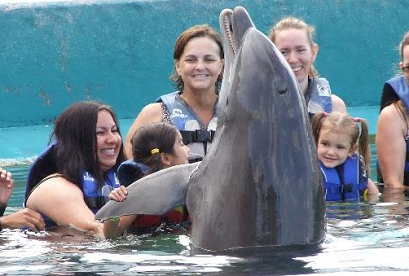 You can submerse yourself in the water in a waist deep and a safe platform as you interact with the Dolphins. 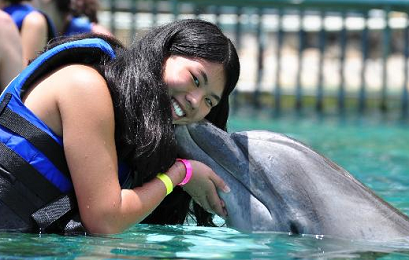 You will get to Hug, Kiss, Rub, Pet, and get up-close to the dolphins in this heart-warming program. 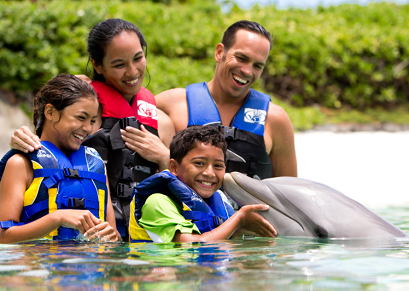 Partake in an opportunity to be entertained by the dolphins in shallow water for every age from 3 year old and up. 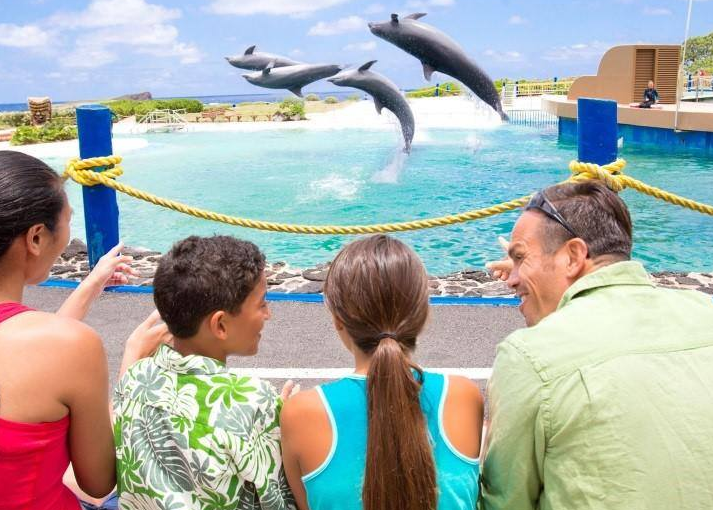 After your dolphin adventure, spend the rest of the day exploring the many exhibits and presentations offered at the Oahu dolphin facility. 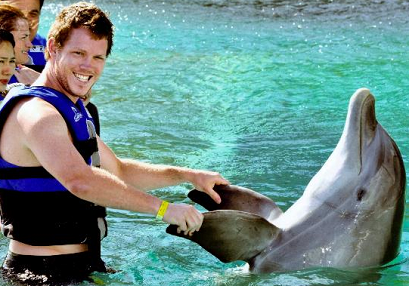 A 30 minute shallow water experience including touching, feeding, holding, playing and training with a dolphin. 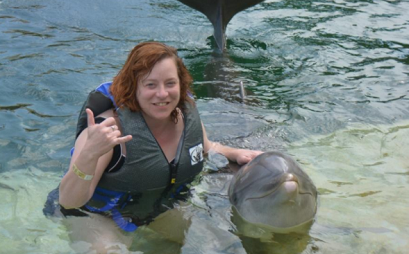 Personal photo opportunities with a dolphin. $10 Park Credit. Anyone within 3 – 7 years old, must have a paid Adult participant 1 Adult per 1 Child. 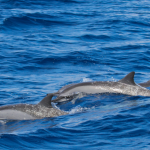 12 participants maximum per dolphin session. (which can be broken into smaller groups). 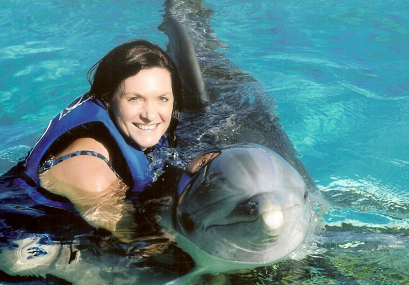 Includes: Dolphin Encounter Program – A 30 minute shallow water experience including touching, feeding and training with a dolphin. Perfect for non-swimmers! In this program all your interactions are done in waist deep water, so this program can handle anyone from 3 year old and up. 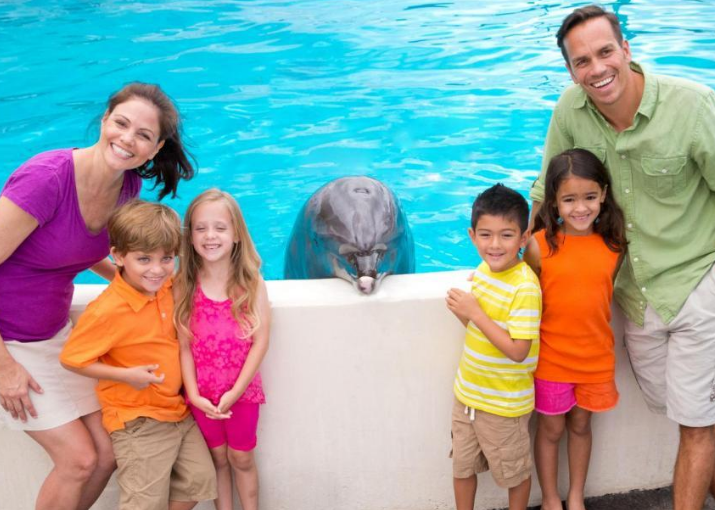 Plus, General Admission to Park, Animal Shows, Animal Exhibits, and $10 Park Credit. 3 years old and up. Book Now!